John Molloy Gallery is pleased to present Native American Dolls (January 4 to February 3, 2018), an exhibition and sale of antique Native American dolls from throughout North America, as well as a selection of contemporary dolls by the Lakota artist, Rhonda Holy Bear. There will be a reception for Ms. Holy Bear on Saturday, January 13th from 3 to 5 pm. 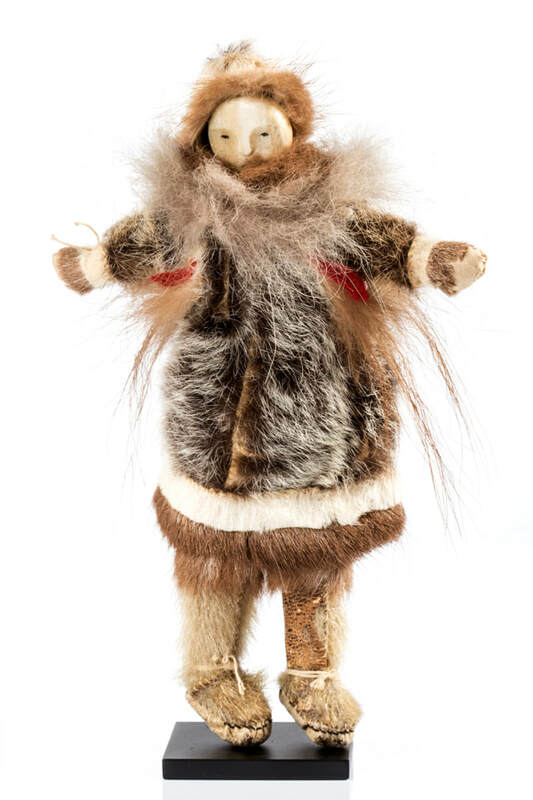 Native Alaskan doll, Gold Rush Era (1880-1920), H 6.5"
Native Alaskan dolls, Gold Rush Era, with marine ivory heads (left 2) and wood head (right), H 5" and 7"